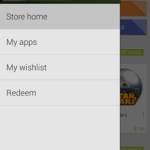 A next major update is coming to the Google Play Store, and the guys at Android Police are on its tracks. 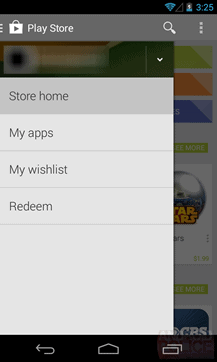 A work-in-progress version of the next Play Store app got on their hands and it reveals a major change: Slide out navigation. You will be able to see more in the pictures below. 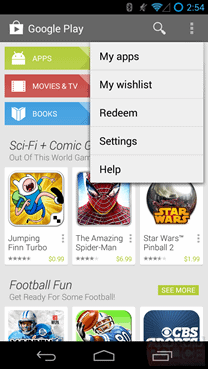 Together with the release of Android 4.4, Google is planning to update the Play Store app. So far we have version 4.4.21 and as you can see it has the ‘4.4’ build just as Android KitKat. This version is only at the stage of Work In Progress, so we can expect Google to add a few more changes to the user interface. You can download the apk from below and install it like any other apk, because Google will take some time until officially releasing this. 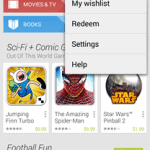 Download Play Store 4.4.21: – com.android.vending-4.4.21.apk.